I read a stat the other day that says that people in the North have a higher incidence of mental illness including depression. I recalled one of ORION’s Leadership Award winners, Dr. Allison Crawford, from the Centre for Addiction and Mental Health, who developed the Northern Psychiatric Outreach Program. This innovative program uses televideo and online resources to provide health care to underserved remote and rural communities in the North. But it makes me wonder: what would happen if this connectivity didn’t exist? Many areas in Northern Ontario lack the high-speed broadband connectivity enjoyed by others in the province. This isn’t news. But it’s something we at ORION think about all the time because we see the magic that can happen when bright minds have the digital tools they need. We’re hungry to bring this kind of magic to those who would use it to bring their ideas and knowledge to the rest of the research and education community. With a mandate to serve all of Ontario, ORION seeks to address this problem. 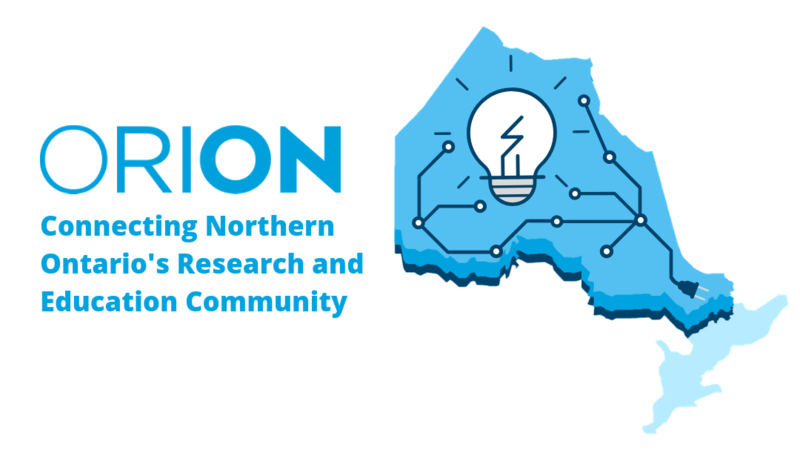 As a first step towards this goal, I’m proud to announce that ORION has released “Connecting Northern Ontario’s Research and Education Community“, a report, co-funded by Northern Ontario Heritage Fund Corporation outlining recommendations on how to proceed as well as challenges to overcome. Northern Ontario’s connectivity is disproportionately more expensive and far slower than urban Ontario’s. While the political will to remedy this exists at both the provincial and federal levels, the situation is compounded by several interlocking issues. There is inadequate return on investment for private broadband providers despite development subsidies. Ongoing network operations are costly, even if infrastructure is heavily funded. Many funding programs require a 50-50 split with the applicant, making such projects cost prohibitive. Broadband providers may be unable to sustain such operations as the small numbers of customers don’t support adequate returns. Northern Ontario’s remoteness and harsh geography increase the complexity and cost of deploying broadband infrastructure. Broadband projects require specific expertise, which may be in short supply in some Northern areas. Importing technical expertise is expensive and depending on external investment is not sustainable for local development. The region’s mix of local governments, unincorporated areas, and First Nation communities with their own governance increases the complexity of the type of regional coordination needed for broadband projects. As a not-for-profit organization, ORION is guided by an interest in providing powerful digital infrastructure for the people of Ontario to connect, thrive and innovate. Our long history of providing advanced network solutions has given us the expertise we need to fulfill the digital requirements of Ontario’s innovation community. That commitment extends to ORION’s work in the North. To address these issues, ORION has laid out four recommendations in its report. Boost capacity and resilience across the province’s research and education network. This would enable Northern institutions to harness improved connectivity, future proofing the North’s ability to support economic development. Partner with established service providers. Forging partnerships with local and regional telecommunications services providers is ket to expanding services in Northern Ontario. This strategy offers tremendous efficiencies of cost and scale. Secure funding with partners. Acquiring municipal partners should be key in any approach to Northern connectivity. Such partnerships are increasingly common in rural broadband expansion projects. These initiatives will also create maintenance and service jobs within the ICT sector and create cost-effective partnerships to solve last mile gaps. Produce a comprehensive plan for shared technology services. Northern Ontario institutions would benefit from Canadian-based cloud and other shared technology services. These services would both reduce costs and enable sharing of expertise. Click to download the report infographic in PDF format. Bringing widespread, high-speed connectivity to all of Northern Ontario will foster prosperity and growth and help overcome the barriers of geographic isolation, small populations, and high transport costs. Such digital infrastructure will enable the North to retain local talent, spur local industry, ensure educational access for all, and link isolated communities – and their people – to urban hubs and to each other. Allison Crawford, and other visionaries like her, have the skills and drive to bring innovations to and from our unique north. But without the proper digital infrastructure, their ideas cannot come to fruition. Improving connectivity could bind Northern Ontarians closer together, to the rest of the province, Canada and the world, and join them to a more prosperous future. Connectivity is the key to unlocking economic potential in Northern Ontario. This report outlines recommendations on how to proceed as well as challenges to overcome.